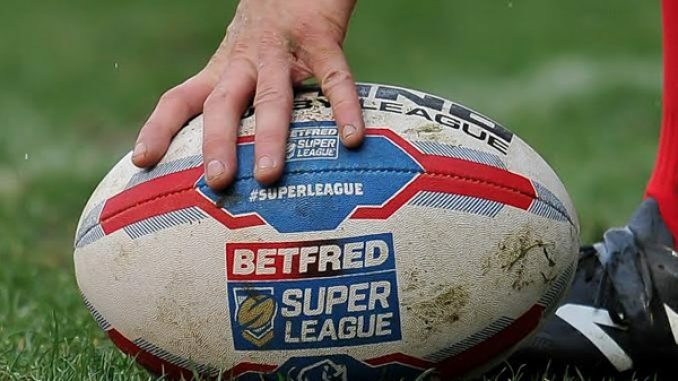 Super League clubs have been accused of trying to influence votes ahead of Friday’s RFL EGM to decide on the structure of the game. Featherstone chairman Mark Campbell was joined by counterparts from York (Jon Flatman), Bradford (Andrew Chalmers), Dewsbury (Mark Sawyer) and Batley (Kevin Nicholas) at a press conference on Thursday afternoon, where the Championship and League 1 advisory group revealed they would be voting against the proposals put forward by the RFL. There have also been calls for all clubs to disclose which way they are voting at the EGM, with the plan currently for a secret ballot to attend, amidst allegations that some of the bigger clubs are trying to influence the votes of those lower down the leagues. Campbell said: “I think that all clubs need to be open and honest about which way they are voting on Friday and their reasons for doing so. “I am aware that some of the larger clubs are using scaremongering tactics and their overarching influence on the smaller clubs, in an attempt to alter the result of the vote. Although the group wouldn’t be drawn on who the clubs involved are, it was alleged that it involved Warrington and Rochdale’s working partnership. As Featherstone became the latest club to issue a statement, Campbell also called for fans and players to have more of a say, while also praising Swinton chairman Andy Mazey, who revealed he would be voting against the proposals, despite the fact it would more than likely save his club from relegation. Campbell added: “We are currently in the middle of a TV rights cycle, with no guarantee of what money will be on offer after it finishes. “I fail to see how anyone could vote to change the current setup and reduce their income, based on no factual evidence. “Nobody would do it in their personal life and nobody would do it in business, so we certainly shouldn’t do it in sport.